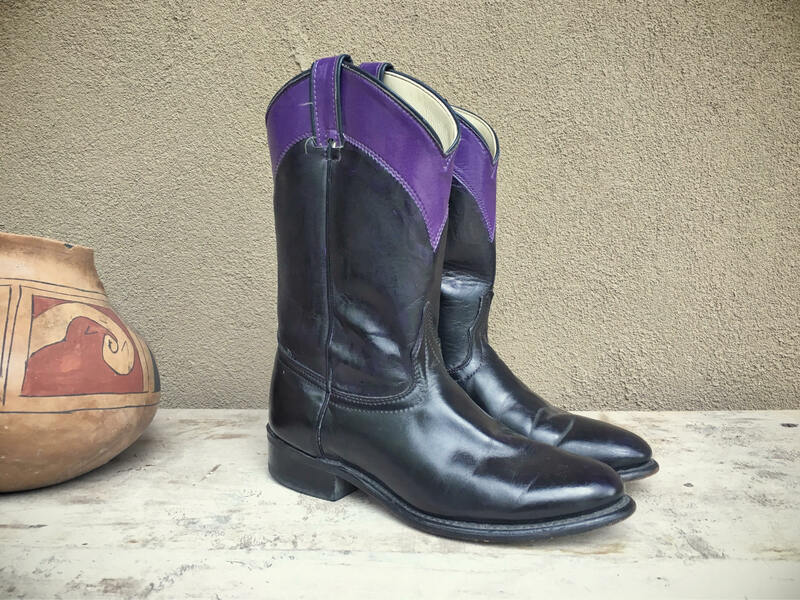 These two-tone black and purple Laredo roper boots seem to have been barely used. 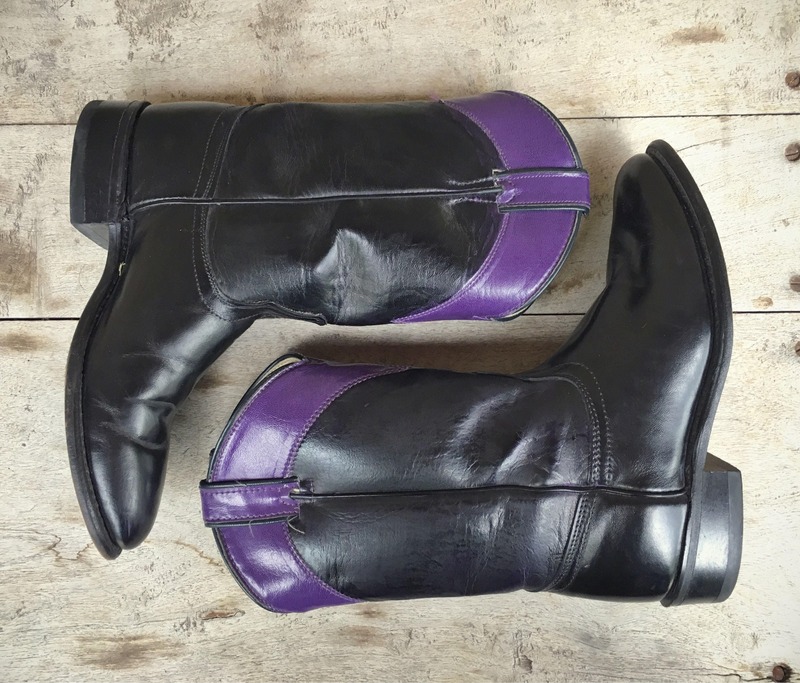 Made in the USA, they do run small, as many vintage boots do, and even though they're a marked Women's Size 8 M, they feel a hair tight on my 7.5 to 8 foot, and I would recommend them for a Size 7 to 7.5. Would look great with jeans or a skirt to show off that purple color at the top. 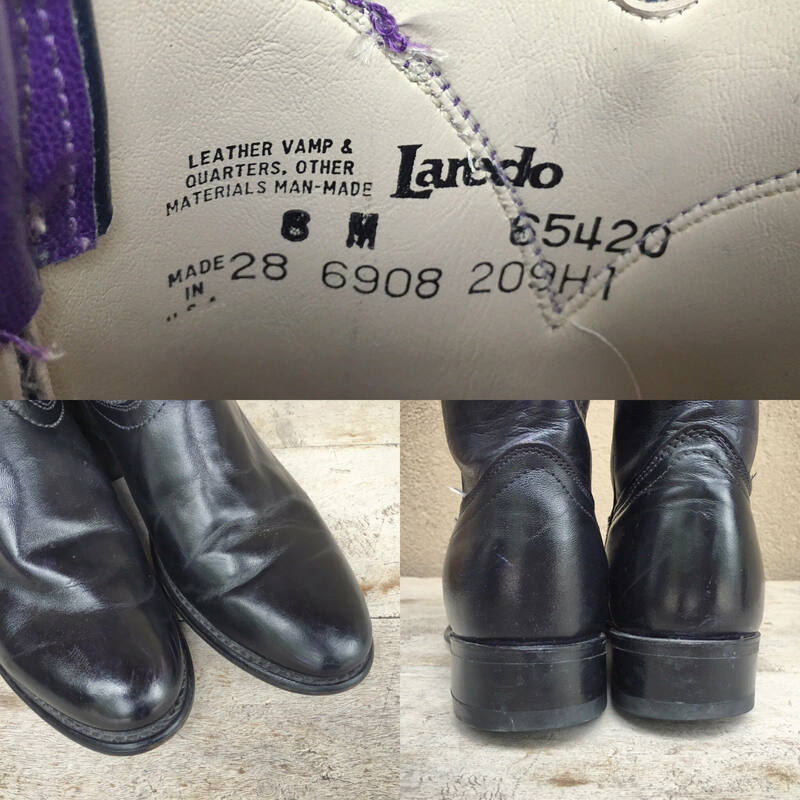 Main condition issue is the purple leather is curling on one of the pull-up straps. 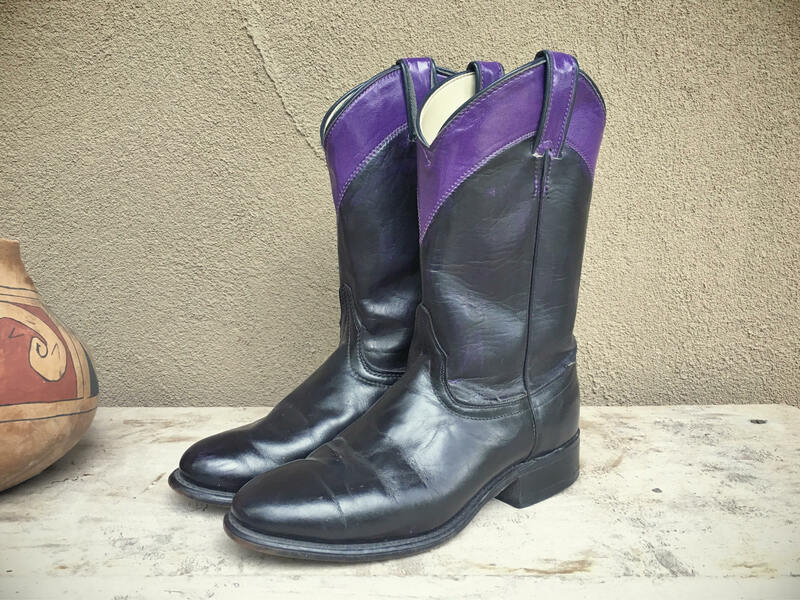 Because purple and black rock! 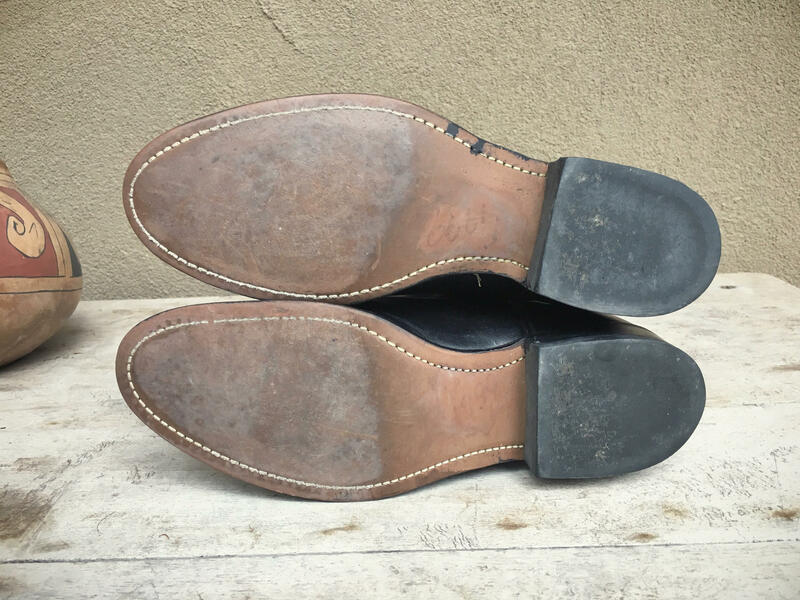 Sole, heel to toe: 10-1/2"
Sole, across ball of foot: 3-5/8"